The SDSU lacrosse team holds up the MPSF Championship Trophy after defeating UC Davis 11-10 on April 29 at the Aztec Lacrosse Field. 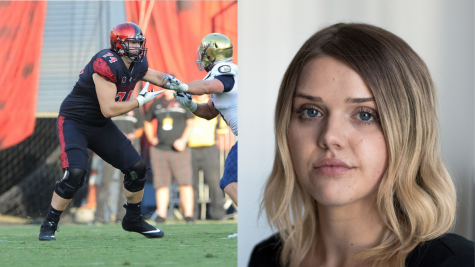 San Diego State lacrosse starting goalkeeper Katy Sharretts collided with a UC Davis player with just under 10 minutes left in the Mountain Pacific Sports Federation Championship on April 29. 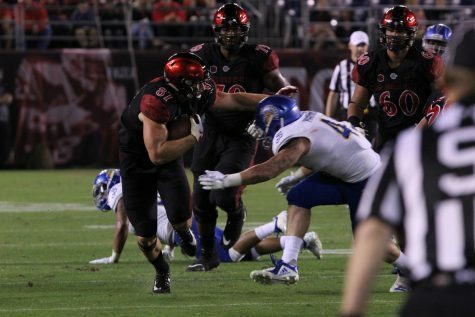 After nearly five minutes of treatment, the redshirt sophomore who started 18 games for SDSU this season was carted off Aztec Lacrosse Field with an ankle injury. The Aztecs called on sophomore goalkeeper Amanda Stapp, whose only start of the season came against the same Davis squad back on April 8. In that game, the Aggies scored seven unanswered goals in the second half to win 15-9 on the Aztecs home turf. This time, SDSU entered the second half leading 8-5, but had allowed four straight Davis goals to fall behind 9-8. After two SDSU goals and a Davis equalizer, Stapp was determined to not let history repeat itself, and made the championship-saving stop with 11 seconds left to send the game to extra time. 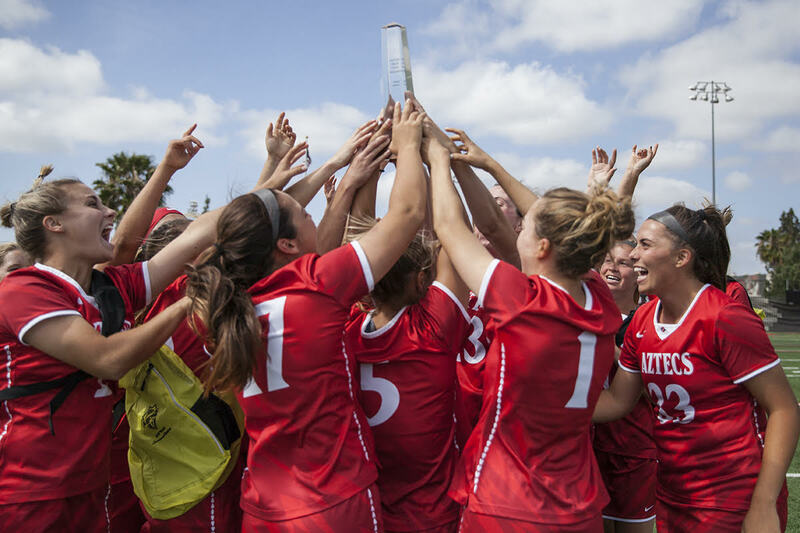 Sophomore midfielder Morgan Taylor then scored the golden goal 23 seconds into the overtime period, firing a shot past junior goalkeeper Grace Richards to give the Aztecs a 11-10 victory and their first-ever conference championship. White savored the moment after winning her first title at the helm of Aztecs lacrosse. “That was really fun; nerve racking, but I’m just so proud of how our team battled to the very end. It was definitely a team effort,” White said. 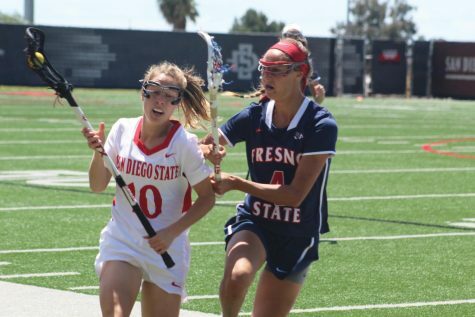 Taylor, who scored four goals off the bench and was named most valuable player of the MPSF Championship, said that the victory has existential value for the SDSU lacrosse program. “It means everything. I think it’s a big moment for this program, and since we are a younger program, this is a big step in the right direction for us,” Taylor said. 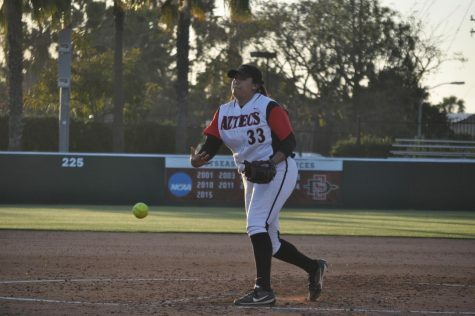 Taylor said that teamwork helped SDSU throughout the season and led them to the MPSF victory. “This team is so close. We all look for each other, everything we do is for each other, and we’re just a really connected team. Winning this game was everything for us,” she said. Sophomore midfielder Taylor Sullivan scored twice in the championship, and said that the Aztecs needed to play hard to avenge their first loss to Davis. 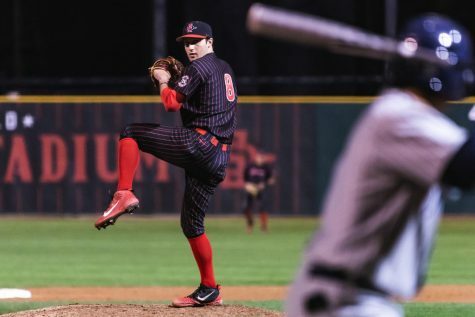 Sullivan added that the hard work the Aztecs endured in the offseason paid off. “It’s cool to make a legacy on this team and to be able to contribute to it. Everyone just worked really hard all season since August, so it feels really good,” Sullivan said. White praised Sullivan’s play against the Aggies. 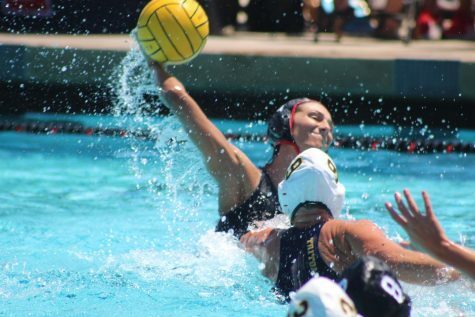 Other offense for the Aztecs came courtesy of two goals from junior attacker Kirstie Greenlaw, while junior midfielders Natalie Peel, Jill Haight, and Harlowe Steele scored a goal each. In addition to her goal, Haight won a game-high seven draw controls. 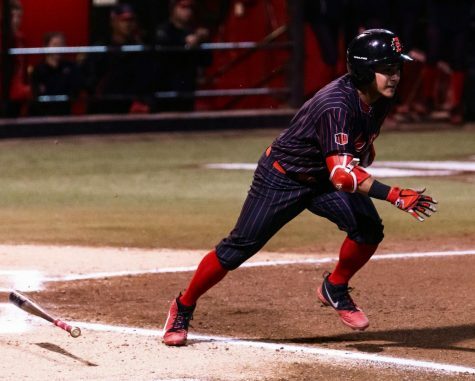 Despite the MPSF Championship win, the Aztecs do not have an automatic bid to the NCAA Women’s Lacrosse Championships, meaning their season is most likely over. The MPSF consists of only three teams: SDSU, Davis, and Fresno State. Conferences need a minimum of six schools to be granted an automatic tournament bid by the NCAA. Along with 13 automatic qualifiers, only 13 additional teams are invited to participate in the NCAA Championships. 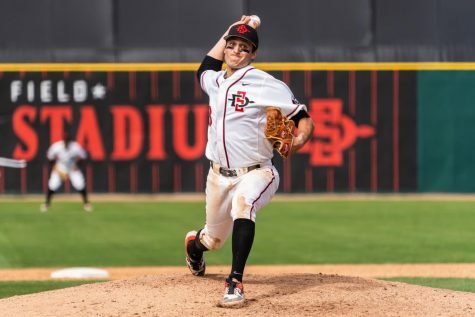 The Aztecs are unlikely to receive one of these at-large berths, even after their program-record 11-win season, against only eight losses. Regardless of their postseason standing, White said that the newly-crowned MPSF Champions are looking forward towards the 2018-19 campaign.